The winning ticket in the latest Powerball drawing was sold in Lexington, central South Carolina, officials say. The $400 million Powerball jackpot is the nation’s fifth-largest ever. Lottery officials said that the ticket was sold at the Murphy USA station. The winning numbers drawn Wednesday night were 7-10-22-32-35 with the Powerball of 19. The actual value is $399.4 million, with a direct cash option of $233 million. 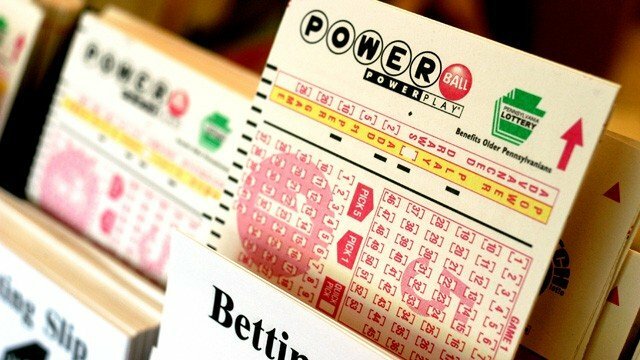 It’s the largest Powerball winning ticket sold in South Carolina and the fourth largest in the history of the game. South Carolina also had a $1 million winning ticket sold at a gasoline station in Hampton. That ticket matched the first five numbers. The latest jackpot comes after a $448 million prize in early August, which was split among three tickets. of 16 Ocean County, New Jersey, employees – dubbed the “Ocean’s 16” – who had gone through Hurricane Sandy together and each put in $6 to purchase lottery tickets. In May, a Florida widow won the biggest Powerball jackpot in history – a $590 million pot. The game’s rules were changed in early 2012 to boost payoffs and now organizers of the country’s other big lottery, Mega Millions, are planning changes of their own. Although Mega Millions still holds the record for the largest jackpot in U.S. history – a $656 million prize in March 2012 – organizers are hoping to more regularly see huge jackpots by lessening the odds of winning big while upping a player’s shot at smaller but still hefty prizes. Mega Millions doesn’t plan to change its $1 ticket price, but an extra $1 option already in the game will be expanded to allow players to increase their secondary prize total to between $1 million and $5 million, a major increase from $250,000. Game changes also include boosting the starting jackpot from $12 million to $15 million, and allowing the jackpot to grow by at least $5 million between drawings when no top winner is selected. It’s those jackpots, not the name on the game, that ultimately draw in 45-year-old Trent Shenefield. “Depends on what’s up the highest,” the electrician said Tuesday while at a QuickTrip convenience store in suburban Kansas City. But fellow lottery player Bob Knowles, a school bus driver in Iowa, said the changes didn’t really matter. The 62-year-old said he purchases tickets for both games several times a week and would be happy with any jackpot. “That’s nice, but I don’t care. I can get by with $10 million. I can get by with $3 million,” he said after buying Powerball tickets at a grocery store in Des Moines.